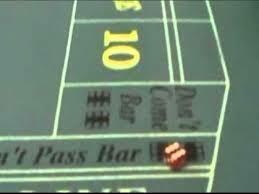 Trio of Dice-Sliders Cheat Louisiana Casino for $56,000. One arrested, Two on the lam. Dice-Sliding Casino Cheat Scams are getting more and more popular these days, and I have trouble understanding why casinos are having so much trouble stopping them. A trio of Filipinos, Allan Arana, Lim R. Tan and Jaime Iglesias, hit the Baton Rouge casino on August 9th. Thirty-five year old Arana was the dice-slider while his two partners were the big betters. After hitting the Louisiana casino, Arana was arrested in a Natchez, Mississippi casino after being caught dice-sliding again. He was shortly released by Mississippi gaming authorities and then headed directly to the New Orleans airport, probably to get the first plane back to the Philippines. Dice-Sliding is simply sliding the dice instead of rolling them. In that fashion they don't tumble so the shooter sets up one or both dice in order to attain the winning numbers on various bets. Usually one or more craps players create lively conversation with the dealers and other diversions to get their attention away from the dice-slider, who then slides at least one of the dice instead of rolling it. A good slider can imitate a legitimate tumble of the dice but the one thing he cannot do is "imitate" both dice from hitting the back wall and tumbling, which all but nullifies the set-up position of one or two dice. And that's all casinos have to do to stamp out dice-sliding. Just make sure the dice tumble and hit the back wall!